A LAWN care specialist with an impressive back catalogue of work on international golf courses and football pitches has set up business in Uttoxeter. 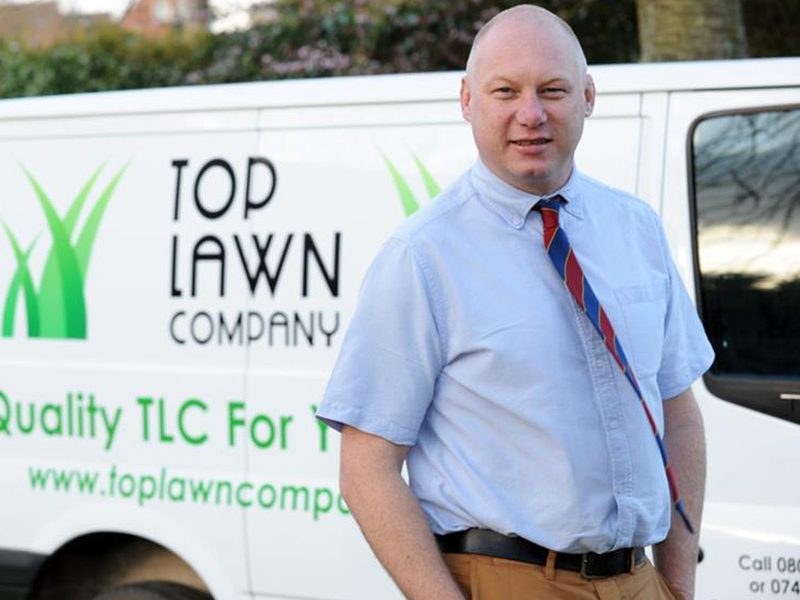 Peter Whitworth, of Lower Leigh, has set up Top Lawn Company (TLC) to service the lawns of Uttoxeter, after years of experience preparing high quality turf abroad, often in challenging weather conditions. During the course of his career, Mr Whitworth has prepared courses for champions league football matches, the English Open and several high profile Scandinavian tournaments. He will now offer a ‘bespoke’ service for both private clients and commercial clients. He said: “I grew up in Uttoxeter and went to Thomas Alleyne’s High School so have many friends here. “I have lived in Copenhagen for nine years and I’ve moved back to be closer to family, friends and British values. “My mum wasn’t well at the end of the year, my brother turned 40 and my two nieces were rapidly growing up, so I felt it was time to return. “My past experiences in lawn care are creating beautiful lawns for family and friends, here and abroad, including creating fantastic lawns around golf clubhouses and quality playing surfaces on golf courses. “I have prepared courses for The English Open, British Masters at The Forest of Arden, USA Open at Pinehurst, North Carolina and several high profile Scandinavian tournaments. “I have also prepared FC Copenhagen football stadium for champions league matches. “These experiences have obviously had quite an effect on me and fuelled my passion for a beautiful lawn and quality turf. “I’ve always worked outside and love to see great results, whether it be a lawn, landscaping or golf project. “As a youngster, I played golf at Uttoxeter Golf Club and rugby at Burton and Uttoxeter. “I have been a golf course manager in Scandinavia for the past 10 years. “Through my broad experience of improving turf and lawns in both domestic and larger commercial projecst, I know it’s important to react to customer need as well as wide weather changes. “After improving turf areas in the warm climates of USA and Portugal, as well as the disease provoking cold weather temperatures of Scandinavia, I feel I should bring the developed skills home that were formed here in the UK.